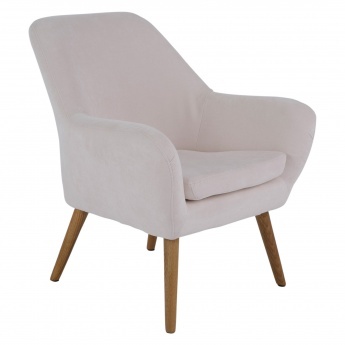 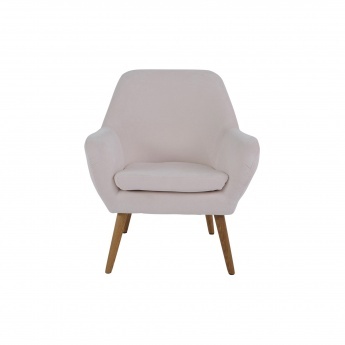 Ideal for adding a twist to your living room decor, this accent chair is just what you need. 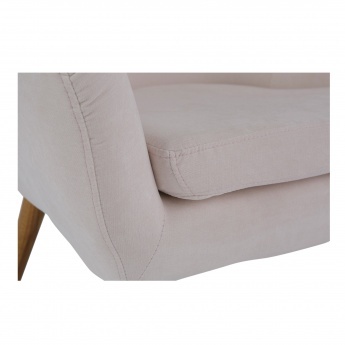 Featuring a modern style, it has a tufted back, a fixed back, and foam-filled fabric. 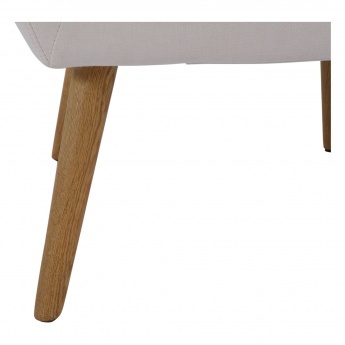 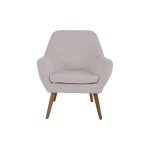 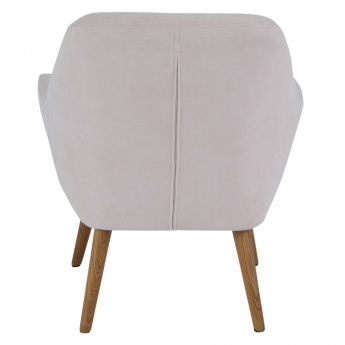 The strong wooden legs and fabric upholstery add durability to the piece.